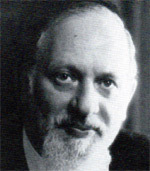 Laureate Winner of the 2005 Avicenna Prize for Ethics in Science. Currently a professor of Public Health Sciences and of Surgery at the University of Toronto. He is Director of Ethics and Commercialization at the McLaughlin-Rotman Centre for Global Health, UHN and University of Toronto. Lord Winston is Professor of Science and Society and Emeritus Professor of Fertility Studies at Imperial College London. He is a Fellow of the Academy of Medical Sciences, Queen Mary College, the Royal Academy of Engineering, the Society of Biology, the Royal College of Surgeons of Edinburgh and the Royal College of Physicians and Surgeons of Glasgow. How Much Risk is Ethical? A Halachic Risk: Benefit Analysis of the Human Genome Project. Use of Mood-Modifying Drugs: Healing or Condoning? A Halachic Perspective. Oocyte Research and Infertility Management: Confidence Malplaced? Response of the Major Faiths to the Ethical/Moral Concerns About Stem Cell Research and the Torah View. Justifiable Risk in Surgery and Experimental Therapy: A Torah Perspective . Editor, Journal of the American Medical Association; Editor-In-Chief, Scientific Publications, American Medical Association, Chicago. 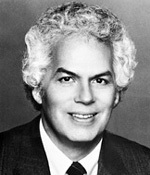 Winner, 1997 Nobel Prize in Medicine; Professor of Neurology, Virology and Biochemistry, University of California, San Francisco School of Medicine; Recipient, Wolf Prize in Medicine and Albert Lasker Award for Basic Research. Prions, Mad Cows, and the Fate of the European Union. Former Minister of Justice and Minister of Finance, State of Israel. Neeman has been a senior partner of Herzog Fox & Neeman, Advocates since 1972. Does Additional Tax Improve the Health of Israeli Society? The father of heart transplantation and one of the pre-eminent heart surgeons of his time. 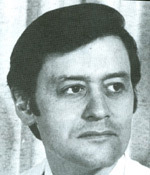 He performed the first successful human heart transplant in the United States in 1968 and was The Frances and Charles Field Professor of Cardiovascular Surgery, Emeritus, Stanford University. 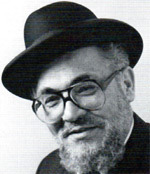 Herbert and Florence Tenzer Professor of Jewish law and Ethics, Benjamin N. Cardozo School of Law, Yeshiva University, New York City. Professor and Chief of Cadiothoracic Surgery UCLA Medical Center. Dr. Laks and his colleagues devised a way to repair diseased hearts that typically would be rejected for transplants. 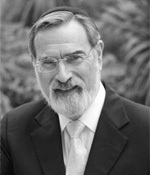 Former Chief Rabbi of the British Commonwealth of Nations, London, England. 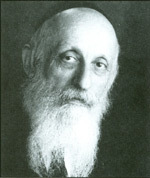 Rabbi Jakobovits was the most prominent figure in 20th century Jewish medical ethics. Science and Religion: Is Strife and Compartmentalization Their Only Future? What Does Jewish Law Say About the Public's Responsibility to Provide National Health Care? Known as the father of the Hydrogen Bomb. 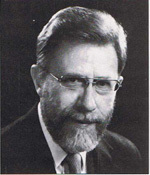 He was a senior Research Fellow, Hoover Institution, Stanford University and Former Consultant and Director Emeritus, Lawrence Livermore National Laboratory, University of California. 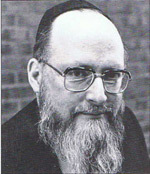 Chief Rabbi of Britain and the Commonwealth. Sacks was made a Knight Bachelor in the Queen's Birthday Honours in 2005 "for services to the Community and to Inter-faith Relations." He was made an Honorary Freeman of the London Borough of Barnet. 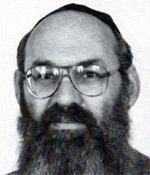 Director, Center for Medical Ethics, Hebrew University - Hadassah Medical School; Attending Physician, Department of Pediatrics, Shaare Zedek Medical Center, Jerusalem. 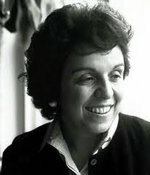 Recipient of the Israel Prize. Responding to the Demand for Organ Procurement: Halachic Guidelines. A Halachic Response on Testing for Breast Cancer/ Panel Discussion on Testing for Breast Cancer. 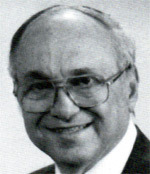 A distinguished pathologist who was dean of the Stanford University School of Medicine for more than a decade. Korn has served since 1997 in senior roles at the Association of American Medical Colleges, including chief scientific officer. Founder and Medical Director, Gateway Rehabilitation Center, Pittsburgh; Clinical Assistant Professor of Psychiatry, University of Pittsburgh School of Medicine. The 11th Commandment: Honor Thy Son and Daughter? Institute for Jewish Medical Ethics. All rights reserved.